Goode Co. 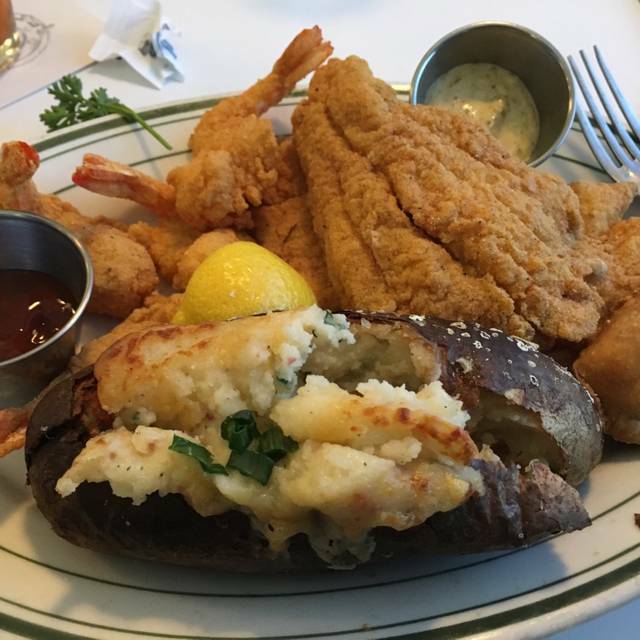 Seafood in Westpark, Texas, has quite a bit going for it that helps to make it a top restaurant to enjoy in the area around Houston. The restaurant is located in a railcar, and it features an original Wurlitzer, so it offers a truly unique dining experience. When it comes to the menu, Goode Co. Seafood has plenty to offer. 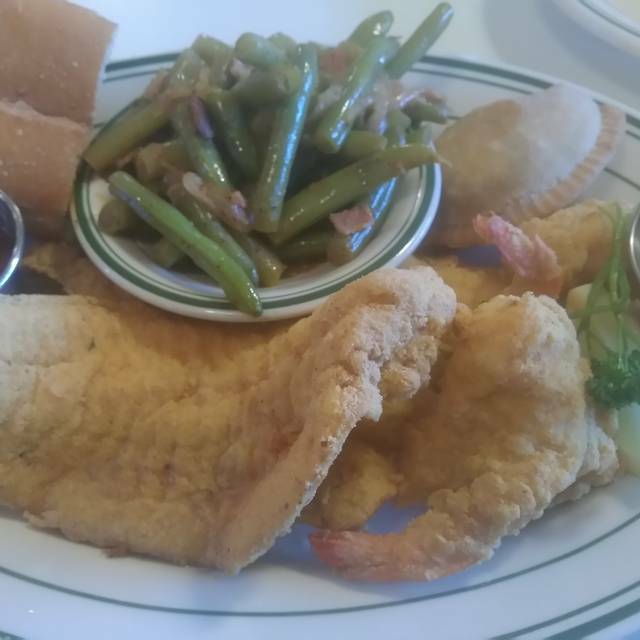 Try the boneless chicken breast, rainbow trout, Gulf shrimp and catfish options. Those who are looking for fresh seafood will find just what they need right here. For dessert, indulge in the red-hot red velvet cake, old-fashioned ice cream sundae, banana cream pie or triple chocolate layer cake. Enjoyed daughter's birthday celebration at Goode Company. We had a 5:00pm reservation, and were seated right away. Fun dining experience! The food was as good a seafood meal as I've had. Our waitress was attentive, smart, polite, friendly and excellent. Christian, the manager, was personable and welcoming. A tremendous dining experience I'd recommend to any seafood lover. Food was good especially the campechana. They must have a new wine menu as a couple of request were no longer available so would recommend updating ASAP! Food is great and consistent. Service was not bad but we had an inconvenience: We made a reservation for 5:0o p.m. on a Friday to take advantage of / enjoy the happy hour but when we were sat at a table they said that in order to have the happy hour menu and prices, we needed to be at the bar or the little tables in the bar area. Nowhere in the website this rule is described or during the reservation process. We moved and still enjoyed our dinner but this is the first time a restaurant forces me to sit at the bar to have happy hour menu or prices. I could understand this if the restaurant was full on regular tables and needed people to move to the bar area but I checked at 6:00 p.m. just out of curiosity and the restaurant was roughly half full. This rule makes no sense to me and I would honestly reconsider it if I was the owner or manager of this place as it is an unnecessary annoyance. The food was delicious!! It was the perfect meal before heading to the rodeo. Amazing!! The best service from Alex! Impeccable! The food was great, tasty, flavorful, and great portions. 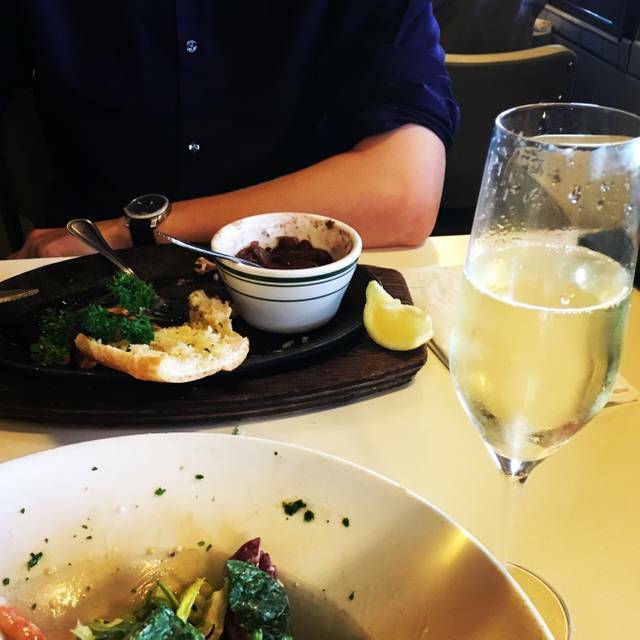 I visit lots of restaurants, and it is rare to experience great food and great service. 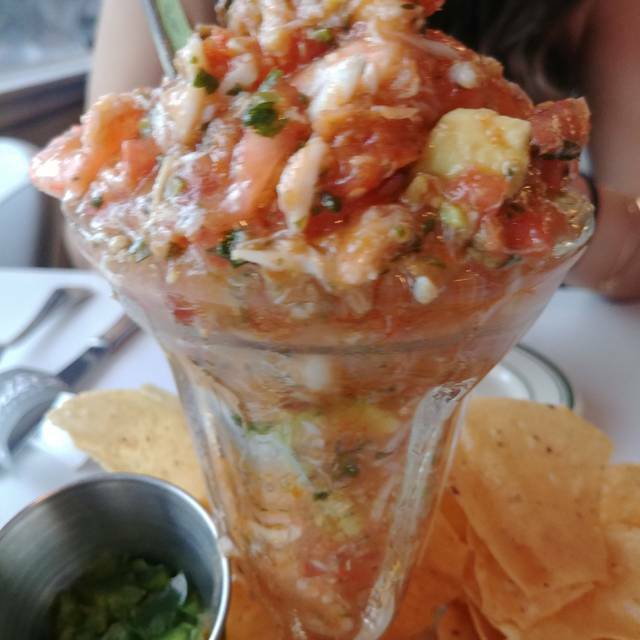 I am new to Houston, and this will be one of my staples and hopefully, I will always get Alex. Outstanding food and service. Maybe the best appetizer i’ve ever had. Server was highly knowledgeable and attentive. Outstanding value. I love this restaurant. I have eaten here for years. Excellent food for a person that likes seafood. This time they did not bring a basket of the bread. They even told me that you only get one pice with the meal. I recall that in the past they brought a basket. I know they bring the baskets prior to the food arriving at the Katy freeway location, as I ate there quite recently. I just don't understand such pettiness in such a great place. Our server (Chris) is awesome, this is my third time having him serve me and meets all expectations of a great server. A good place to eat seafood esp. if you like it spicy. I don't but many others do. Bacon wrapped grilled shrimp were over done, therefore tough, & way too greasy from the bacon. My wife said the coffee she ordered after dinner was dreadful & the cake we all shared was too dry. All other entrees were done right as were the sides. Attentive, polite staff. Overall a B+. Get the Campechana. No lobster, but everything they have on the menu is excellent! Great TX seafood restaurant in downtown Houston near the Medical District. Appreciated the large selection of fresh Gulf-caught seafood and extensive menu. Wonderful desserts and drinks! Bonus points for a Sunday afternoon happy hour-- but only if you sit at the bar, terrific service and evidently very family friendly-- lots of parents with little kids eating here. We will give it a second chance-- could have caught them on an off day and we need to try the gumbo. The food was delicious and always is. I’ve never had anything here that I didn’t like. Our waitress was sweet and attentive. We will be back! Good food. Good drinks. Lots of fun. Had raw oysters and a bowl of the seafood gumbo, which were both delicious. Will be back soon! Sorry, but I was quite disappointed in the table space. We had a table for 4 and we were crunched for space as it was difficult to fit all of our orders on the table. Also I ordered a platter and mine came to me on a small plate while my friend's plate clearly was the appropriate size plate for the platter. I had to request another plate which added more space on an already crowded table. Food was good but not sure if I will come back. Everything was great as expected, food & service. 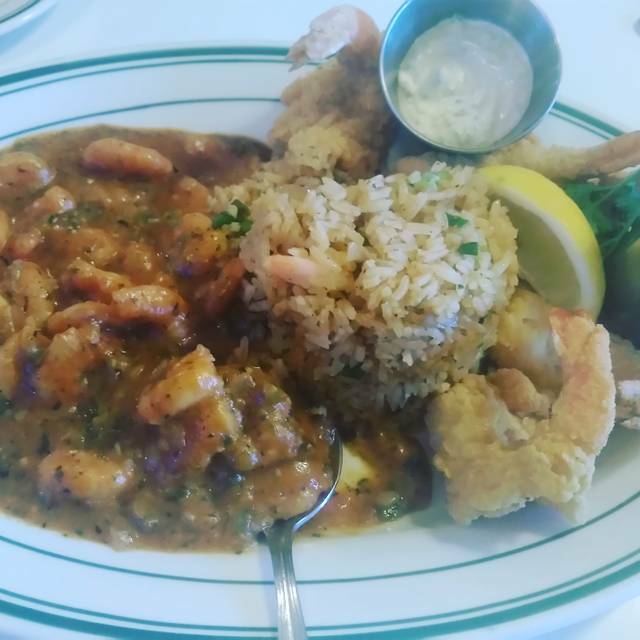 The food at Goode is amazing and no others compare when it comes to preparation of seafood. Delicious oyster and fish selections. Exceptional gumbo. Wonderful fish options. Don't miss the Oysters Rockefeller. Very good food, good selection and reasonable prices. Best shrimp campechana ever! We drive in from Sugar Land just for this dish. We have been customers at this location for at least 15 years and we have not been disappointed, food and service are outstanding. Noise level some times a little high not conducent to a normal conversation. Men’s room is very small. Food and service was excellent. Place is a bit noisy. This seafood restaurant was delicious - fresh and inventive! My family loved it and will definitely be back! First visit and we will be back. My husband had shrimp and I had the halibut. The fish was outstanding! I definitely will order it again. Reservation was for 5:30, and we were sat within 5 minutes of our time. After ordering, the wait was very short to receive our meal. Fantastic meal! Outstanding fresh seafood paired well with craft beer suggestion from wait staff, wonderful flavors and great service! Goode was recommended to me by a friend. The building was on the historical side and the food was worth coming back for. Ask for Carlos! You can't get any better than him! He is a star server & bartender! A star! My wife and I had a couple of drinks which were OK. She had a dinner salad and I had a cup of shrimp gumbo. We both had Trout Almondine. The gumbo was like a light colored gravy with 4 shrimp and a little rice. Being originally from Louisiana, not what I would call a real gumbo. The Trout filets were about the thinnest I have ever seen, lots of almonds and a little trout. It was good, not great, and highly overpriced for the amount served. After all the raves by former patrons, I expected better. No, I would not recommend this restaurant to anyone.